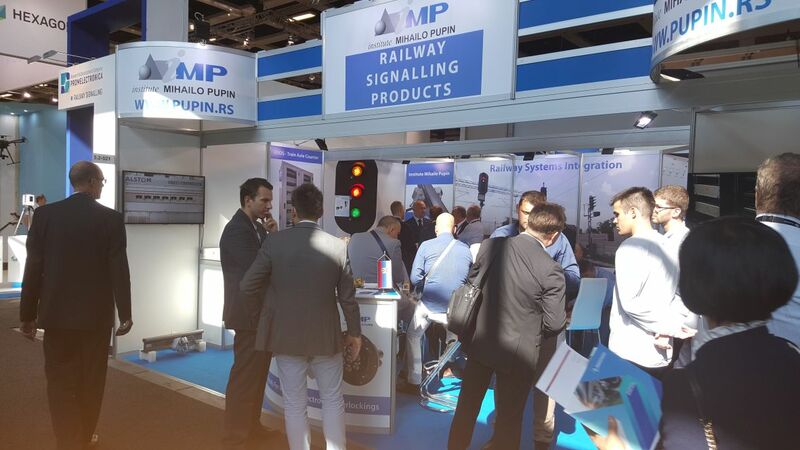 The Institute “Mihajlo Pupin” participated for the second time in one of the leading international fairs of the railways and transport technology InnoTrans in Berlin. The twelfth InnoTrans2018 trade fair was held from 18th to 21st of September, 2018, and occupied 41 halls of the exhibition space of the Berlin Fair. 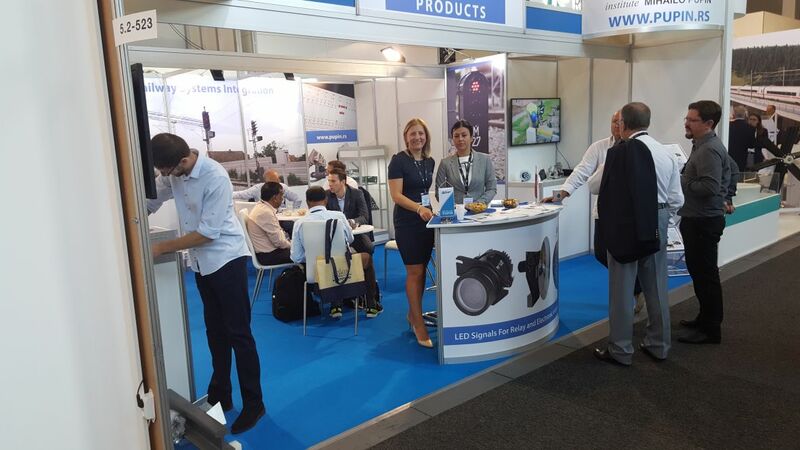 The stand of the Institute “Mihajlo Pupin” was located in the hall 5.2 in the part where the products and services within the Railway Infrastructure were presented. 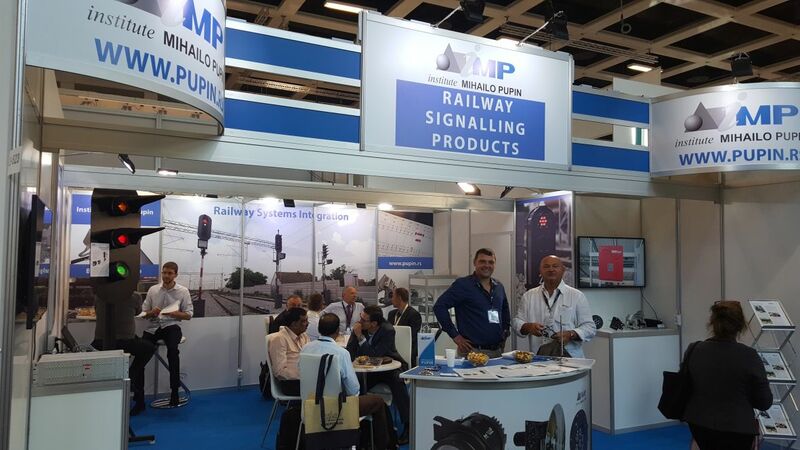 We presented our advanced existing and new railway safety and signaling devices, such as: BROS – Train Axel Counter; UTD- Universal Train-Wheel Detector; Main, shunting and limit track LED signals; Railway LED Indicator Signals; MMI10 – Railway Safety HMI; m2SCD – Signal-Control Device, ATIS VC-MDx – Voice Recording System; LL-000-m – Universal LED module. The Institute stand had an impressive visit of a large number of existing and potential business partners. Great interest in our products shows that the Institute has interesting and competitive products for railway transport. Post Published : 28. September 2018.